To date, the Israeli government is yet to comment on allegations of its involvement in Mabhouh's killing in Dubai. However, the allegations are likely to trigger a diplomatic row with Britain, Ireland, Germany and France. But there is something that the British press has failed to mention for the time being. 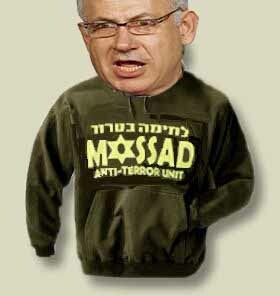 The Mossad is operating with an intimate proximity to the Israeli Prime Minister’s Office. The Mossad’s director reports directly to the Prime Minister. In other words, once the allegations are proved to be true, Israeli PM Netanyahu, should join the rapidly emerging list of ‘prisoners of Zions’, those Israeli leaders who cannot leave Israel for legal reasons. Like Tzipi Livni, Ehud Barak, Ehud Olmert and Shaul Mofaz, Netanyahu should expect to face an arrest warrant for condoning identity theft and ordering murder once he lands in Europe.